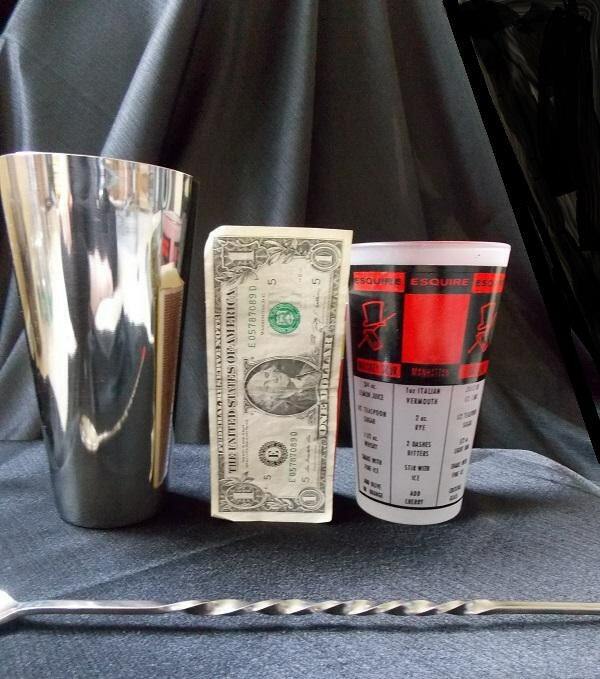 Shake up your favorite drinks with this vintage cocktail shaker set! 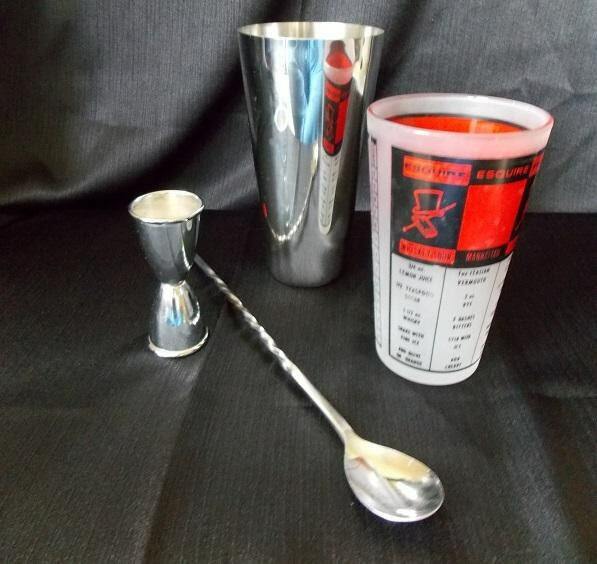 This mid-century glass martini/cocktail set consists of a recipe mixing glass, metal stirring glass, stirring spoon, and metal jigger. 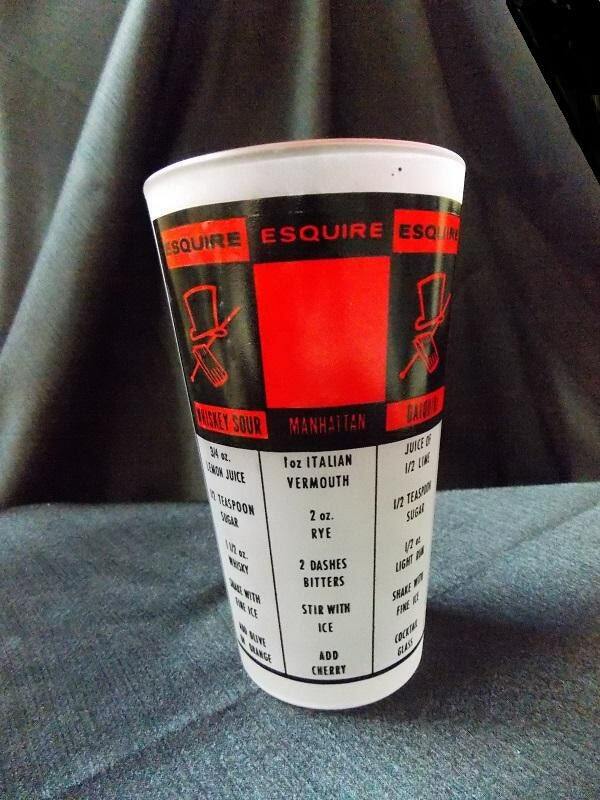 The frosted recipe glass is detailed in red and black graphics with recipes for the following classic cocktails: Stinger, Alexander, Martini, Tom Collins, Daiquiri, Manhattan, and Whiskey Sour. Along the side is a measurement in ounces table which indicates that the glass holds 12 ounces. The glass is stamped with the Federal Glass "F" logo on the bottom. 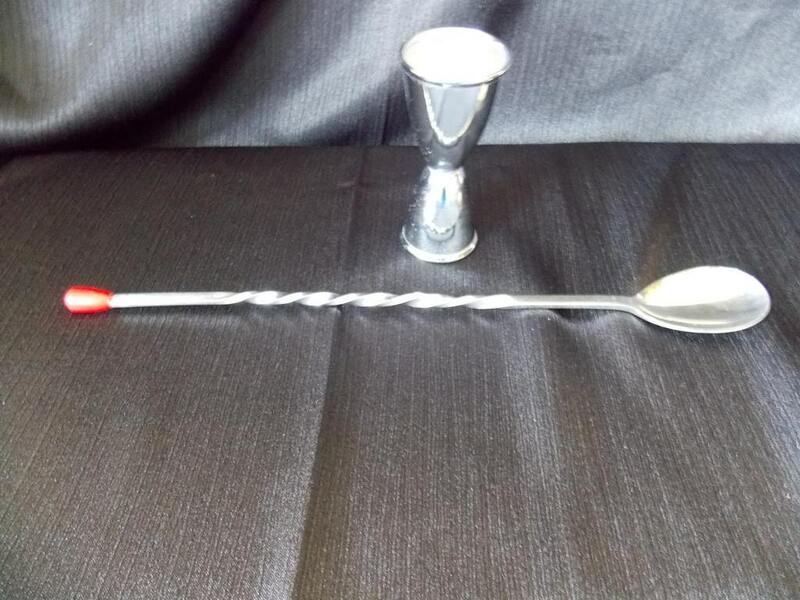 The stirring spoon has a twisted handle with a red balled tipped. 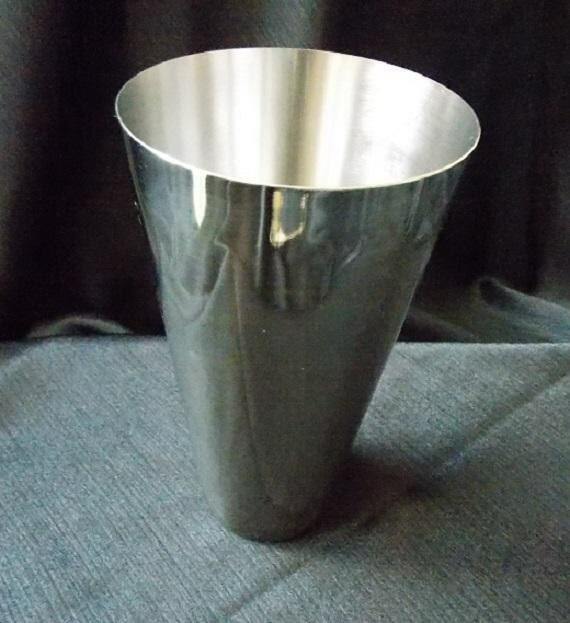 The metal mixing cup and stirring are all stamped stainless steel. The double jigger is marked "Japan."